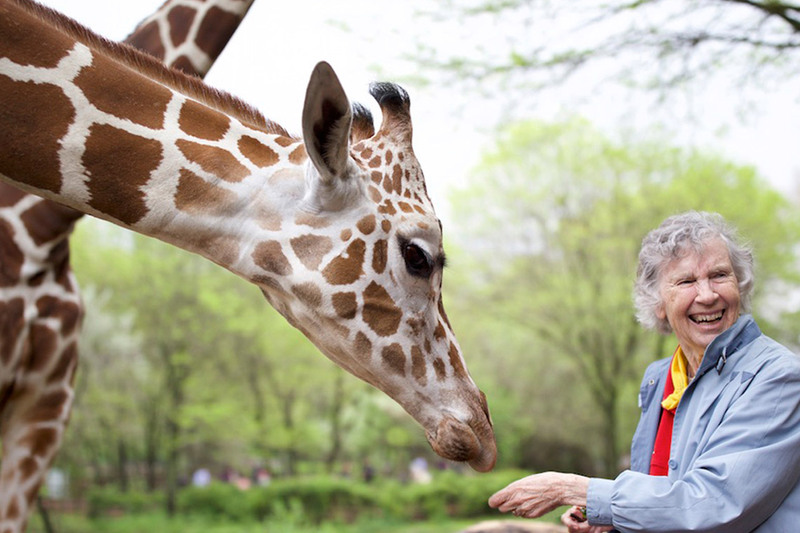 In 1956, Anne Innis Dagg, who had just completed her master’s degree in genetics at the University of Toronto, ventured on her own to a ranch in South Africa to study giraffes – an animal she’d been fascinated by since childhood. Over half a century later, Innis Dagg returned to the site where she first witnessed giraffes in the wild, this time with a film crew shooting a documentary about her life and career called The Woman Who Loves Giraffes. This evening, Innis Dagg will be coming to U of T for a screening of the film and a Q and A at Innis Town Hall on the downtown Toronto campus. The event is sold out but there will be a rush line for seats that may be available on the day. Innis Dagg will be returning to the university she remembers fondly.